Diversified music teaching is a music teaching mode that ADAPTS to the requirements of the new era. According to the training objectives, course nature, teaching objectives and requirements and the learning needs of individual students, this kind of diversified teaching aims to change the limitation and closure of teaching contents, the old and single teaching methods, as well as the hindrance and backwardness of teaching evaluation. The establishment of diversified music teaching mode is the inevitable requirement of quality education, the need of individualized teaching and the need of multi-type, multi-specification and multi-level development of education and teaching. The introduction of new knowledge in teaching is emphasized while the content of teaching is evolving. The content of music textbooks should have the breath of the new era, conform to the aesthetic taste of modern society, and meet the requirements of cultivating the all-round development of students in the new era. At present, there are still some drawbacks in the setting of music subject textbooks in China, such as monotonous and boring course content, unreasonable structure and unsound function. Therefore, it is necessary to realize the diversification of the teaching content, change the over-emphasis of the teaching content on the construction of the discipline system, break away from the situation of the society and the reality of life, and make the music teaching material more contemporary and practical, so as to promote the development of students in all aspects. Different stages of the music curriculum should be based on different stages of students' age and psychological characteristics, the music learning and other disciplines, games, and combine the real life, make the abstract complex music knowledge become lively and interesting, make dull skill training becomes specific image, thus made the music knowledge, easy to learn. Strengthen the interaction with other subject knowledge, the teaching content should be diverse and vivid. Music teaching is not an isolated subject, it is closely related to many subjects. In the process of music teaching and learning, emotional experience of music is indispensable, which involves people's psychological factors. Therefore, mastering certain psychological knowledge can contribute to the understanding of emotions such as "joy, anger, sorrow and joy" in music learning. At the same time, music comes from social life. Many music works are descriptions and interpretations of social life. To better understand music works, students must have a good understanding of social life. In addition, music is also related to literature, painting, dance, education, physiology, logic, linguistics, politics, history, geography and other disciplines to varying degrees. Therefore, the content of music teaching must not be a single teaching of music knowledge. Only by seeking interdisciplinary cooperation on the basis of humanities can music teaching reflect its breadth and depth. The content of teaching should be enriched and innovated. Music is the art of "life", the content of the music teaching is "dynamic", rather than the immutable, combining music teaching and real life, to add the popular factors in real life to the content of teaching, fully tap some taste, conform to the students can make students interested in the teaching material content, make the teaching material content more rich and novel, so as to mobilize students' learning enthusiasm. In life there are a lot of can be applied to the subject of music teaching, such as in real life, we can hear the sounds, the wind, rain and the sound of water, a variety of animal calls and machines roar, the common and familiar to the teaching of a variety of voice, let the students to imitate, will certainly have different teaching effect. Situational teaching refers to a teaching mode that makes full use of images, creates typical scenes, arouses students' learning emotions, and combines cognitive activities with emotional activities. In the music teaching process, students can experience and perform music by presenting the environment in life, demonstrating the scene in real objects, reproducing the environment in pictures, describing the scene in language and experiencing the environment in performance. 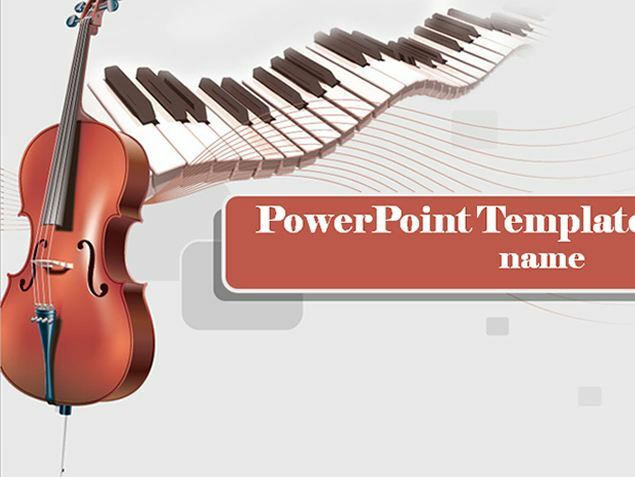 This teaching method can connect students' audio-visual senses in a timely and high speed through scene representation, and stimulate their rich imagination and association when they perceive music. Teachers should create opportunities for students to participate in various music scenarios, break down the teaching content into details, so that every student has the possibility to experience the scenario, and guide students to constantly discover and improve themselves in music scenario simulation training. In the music teaching process, teachers should abandon the traditional teaching model centering on "classroom, book and teacher" in the past, instead of only paying attention to the explanation of theoretical knowledge or making students perform endless singing exercises, they should adopt a new teaching model that takes students as the subject, teachers and students interact and students take the initiative to explore. This teaching mode requires teachers to create a relaxed and peaceful learning atmosphere for students when teaching, so that students dare to say and do; Form a learning platform of respect, cooperation, care, friendliness and sharing, so that students are willing to interact with teachers; Cultivate the ability of communication and cooperation among students, promote the improvement of students' learning ability and the harmonious development of body and mind. Open music teaching is a kind of brand-new music education idea, this idea teachers in teaching process, consciously combined with social class, the students of the school, after school life and family life together, in a macro environment to teach students knowledge of music, and music skills combined with teaching students to be organic. Based on teaching objectives, teaching contents and teaching process optimization combination, creating a characterized by cultivating students' subjectivity, stimulates the student innovative way of open music teaching mode, and inspire students' divergent thinking, let them to think about problems in all aspects and to extrapolate from various angles, such as to let the student feel in full after a music works and adaptation, improvisation or simulation of melody. Evaluation subject refers to those individuals or groups who participate in educational evaluation activities and make value judgments on evaluation objects according to certain standards. In music teaching, diversification of evaluation mainly reflects in: the people who take part in the evaluation of teaching achievements in addition to the educational administration system and professional teacher, should also include the evaluation of professional institutions, education decision mechanism, school administrators, parents, students and the individual and other relevant personnel outside the school, such as relevant experts, professionals or music lovers, and so on. In a word, we should give full play to the role of each evaluation subject, refer to the content of multiple evaluations, make the evaluation results more objective, and fully stimulate the enthusiasm of students in learning music. The diversified teaching mode pursues a democratic, equal, cooperative and innovative learning atmosphere, and constructs a democratic and interactive teacher-student relationship. Therefore, two-way evaluation can be adopted in teaching evaluation. When evaluating students, teachers should not only pay attention to students' academic performance and test scores, but also pay attention to the indicators of students' emotional attitude, values, knowledge and skills, and examine the effectiveness of learning process and methods. Such as music interest and emotional response, music practice participation attitude, degree of participation, cooperation desire and coordination ability, music experience and imitation ability, performance ability, explore music attitude and arrangement ability. In teaching evaluation, a variety of evaluation methods can be adopted: according to the different evaluation subjects, the combination of others' evaluation and students' self-evaluation can be adopted. The evaluation of others includes the evaluation of teachers and classmates. The self-evaluation is mainly about students' self-judgment of their own learning and morality. According to the different evaluation contents, quantitative evaluation and qualitative evaluation can be combined. Quantitative evaluation can use mathematics and statistical tools to conduct quantitative analysis and evaluation of students' assessment results, including the usual assessment and test, etc., while qualitative evaluation generally refers to the evaluation of students' learning attitude and learning methods as well as their own perception of music. According to the different evaluation methods, manual evaluation and computer evaluation can be used simultaneously.